Good day to all my reader and visitor, it's been a very hot day. I love to eat ice cream during hot day and even my kids love them too. 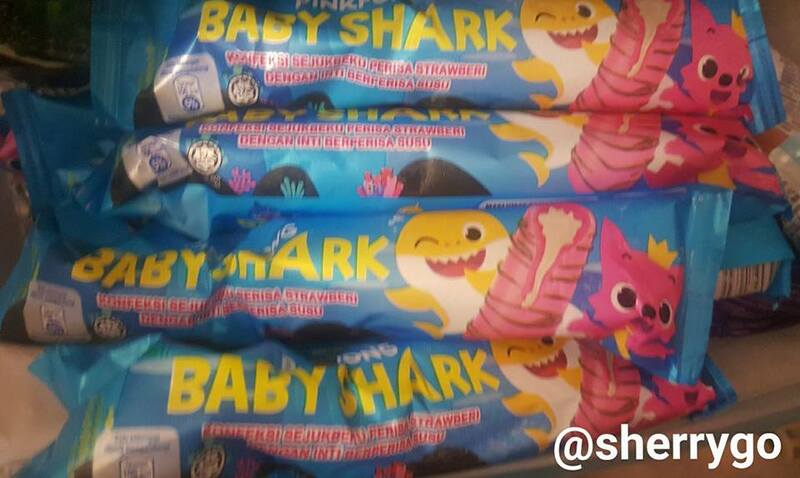 Now there's PinkFong Baby Shark Ice Cream, do you know of the Baby Shark Doo Doo Doo? It is kids' favourite song, I got to know this from youngest son he started showing me video on youtube and sing along. 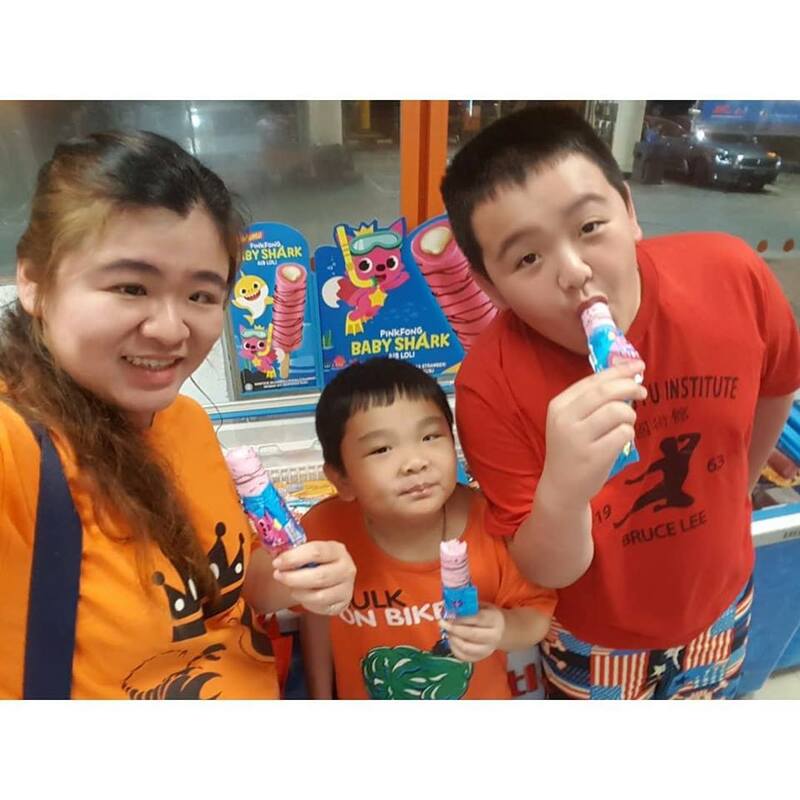 We are so happy that we can enjoy the PINKFONG Baby Shark Ice Cream in Malaysia, we love the delicious strawberry flavour ice holly with milk flavoured filling. Yeah, it taste so yummy that I have purchased more to keep in freezer at home. You can find the ice cream available in-stores nationwide now. It is RM1.90 for one PINKFONG Baby Shark Ice Cream. That evening was truly a memory to keep; The Baby Shark mini concert from start to end was very knowledgeable; do check out my video above. I was told tickets were sold out too. Besides watching the show, we also enjoyed the PINKFONG Baby Shark ice cream, it was selling at a buy 1 free 1 during that weekend. never try this ice cream.. but looks great and yummy! mini size, ngam kiddos..
yeah full of people watching the mini concert, enjoy the yummy ice cream to eat before the show. yeah nice to eat as not too sweeet, gonna stock up more at home. hey! is it nice? i heard a few blogger promote this, pinkfong ni tak silap yang baby shark tu kan ? yeah its nice. 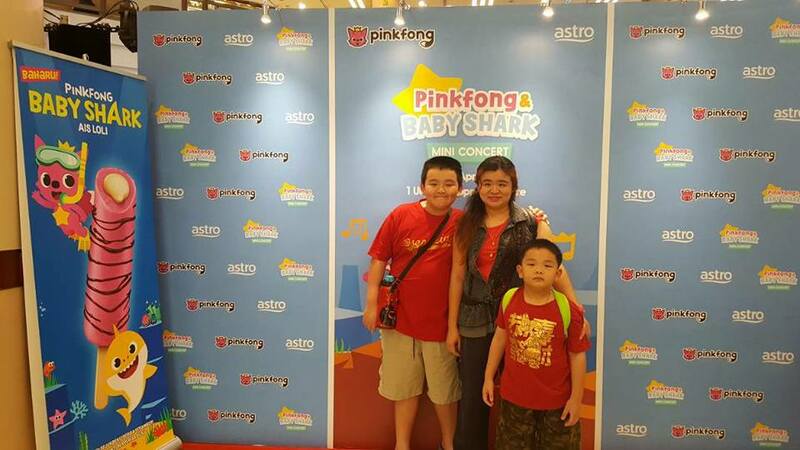 PINK FONG BABY SHARK song yes, my sons love singing it. Icecream also for adult right not specific just for kids. 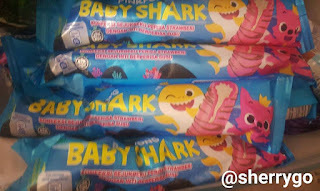 Heheh I want to try this Ping Fong Baby Shark Ice Crem. Looks delicious make me tempting now! The ice cram is so cute, they’re so creative to come out with this kind of icecream. Kids surely will love it. So cute lah this ice cream. I havent see it yet in store. I should go n explore more store i guess. Many said that the taste is awesome. My family love this icecream so much. We have a lot of stock in the fridge. The taste is so creamy yet yummy.